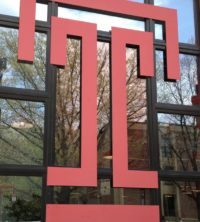 Newark, Delaware (March 15, 2017) – The Institute for Business and Information Technology (IBIT) at Temple University’s Fox School of Business has launched a new initiative to engage small and innovative technology companies. Arcweb Technologies and DecisivEdge, LLC, have been invited as the introductory members of IBIT’s Small Company Membership Program. The new program aims to engage smaller firms with current members of IBIT, and the students and faculty of the Fox School’s Department of Management Information Systems (MIS). The Small Company Membership Program will create a more diverse, better-rounded membership that comprises businesses of all sizes, and across multiple industries, said Dr. Munir Mandviwalla, Executive Director of IBIT and Chair of the Fox School’s MIS department. Additionally, IBIT announces Chris Cera, Chief Executive Officer of Arcweb, and Sukumar Narayanan, President of DecisivEdge, will join the Fox IT Advisory Board. Composed of IT industry leaders, the Fox IT Advisory Board guides the Fox School in its mission of strengthening its reputation and curriculum as a nationally ranked provider of integrative business and technology education and research. Philadelphia-based Arcweb Technologies is a digital product development company focused on the finance and healthcare industries. DecisivEdge, LLC, based in Newark, Del., is a business consulting and technology services company.